The Temporomandibular Joint (TMJ) acts as a sliding hinge, connecting your jawbone to your skull. There is one joint for each side of your jaw. 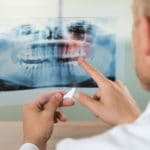 The joint connects the mandible which is the lower jaw to the temporal bone which is on the side of the skull. The joints allow for movement required for chewing and speaking. 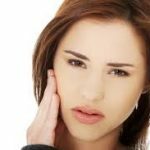 TMJ disorders (a type of temporomandibular disorder or TMD) can cause pain in your jaw joint and in the muscles that control jaw movement. 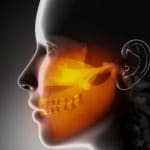 The exact cause of TMJ disorder is often difficult to determine. 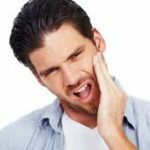 Your pain may be due to a combination of factors; genetics, arthritis (rheumatoid or osteoarthritis), or injury to the jaw can cause symptoms. 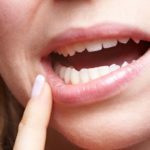 Long term grinding and clenching (bruxism) is also associated with TMD, although both do not contribute to the development of the TMJ disorder. 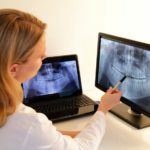 The TMJ combines a hinge action with sliding motion; the bones that interact in the joint are covered with cartilage and are separated by a small shock-absorbing disk. This normally keeps the movement of your jaw smooth. 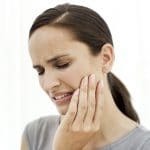 In most cases, the pain and discomfort associated with TMJ disorder is temporary and can be relieved with self-managed care or nonsurgical treatments. Surgery is typically the last resort after conservative measures have failed; some patients benefit from surgical treatment. Locking of the joint, making it difficult to open and close your mouth. Clicking sound or grating sensation when you open your mouth or chew. 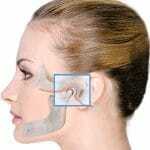 No pain or limitation of movement associated with your jaw. 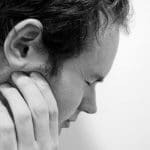 When your pain or tenderness persists, seek help from a TMJ specialist. 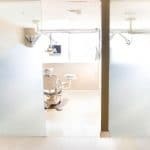 If you are having difficulty opening and closing your mouth, it is time to consult with our team. We can assist in diagnosing and recommend treatment for your symptoms. When pain relievers and over the counter anti-inflammatories do not relieve your pain, our doctors may prescribe stronger pain relievers for a limited time. Prescription strength Ibuprofen, Tricycle antidepressants or muscle relaxants may help in alleviating the pain and symptoms. Contact our office as soon as possible if your symptoms persist or become a concern. 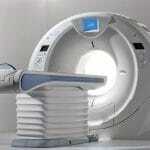 We have the latest equipment to diagnose and treat your pain and other symptoms. 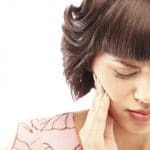 Understanding the causes, symptoms and treatment options available for TMJ disorders is essential for patients and doctors to map out the journey of a pain-free lifestyle.